This is a title of a book series starring Varg Veum, name that traces an ancient Nordic expression, vargr i véum, “wolf in the sanctuary”, whose figuratively meaning is “persona non grata”. Veum is, of course, an antihero, but a positive one, with the classic problems that inexplicably seem to afflict the totality of the Nordic detectives: loneliness, alcohol and conflictual relationships with women. So far, nothing new. However, there are just two peculiarities that we rarely find in this kind of fiction, and that lose immediately yourself in the novel, and these are: a rapid first hand narration, and the fact that Veum is not the usual underestimated cop, but a private detective. He is a freelancer, and he can take some liberties that who wears a uniform cannot take. He also has a conflicting relation both police and competition. A straight-arrow, althought in his own laking of originality. It is a painting about the 1980s, about oil and easy money, that upsets the quiet town of Stavanger, a fishing village that has found itself catapulted into the modernity and its own lack of values. We could say better that, rather than a painting, this is a comics or a video game. Exactly like a late ‘90s point & click, or any Dylan Dog comic book, the novel does not rely on a high literary quality, nor I think it wants would to do so: little originality, often too simple turning points in the plot, fairly trivial resolutions, rather forced reasons and ending, and even the moral is pretty ordinary (it’s all economic interest’s fault, that ruins the real values…). Even the descriptions of carnal/love relationships are naively corny. But hey, who does not appreciate Broken Sword or Dylan Dog, in spite of (or perhaps even because of) the naivety and the easy philosophy? The book really grips and entertains the reader, and it is undoubtedly a pleasant and perfect summer reading, with laconic and funny aphorisms like: “truth is heard only by drunks and taxi drivers”. And we have to pay attention that Gunnar Staalesen does not write this way because he does not know how to write ‘properly’. Author’s mastery is more than clear, his precise wish to draw with his words, to create passages full of strong contrasts and vivid colors, in order to offer an overview on the world of the refineries and oil platforms and on the ‘80s. After all, is there any better period to be stylized? 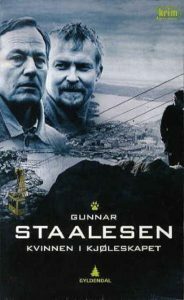 The whole nove proceeds through sketched images, with caricatured and excessive characters, and this is the real strenght of the book, and what sets it apart in the sea of confusion of Nordic crime novel: there are no real claims of a social analysis, only the sheer crime novel, and a flowing and gripping read. Moreover, almost twenty years after this novel, “women in refrigerators” will become a key expression (used in ideological and polemical sense) which draws its roots exactly from comic books (Green Lantern, to be more exact): it indicates the expedient of a killed woman only as a pure stimulus to the description of the male hero’s exploits, which, in contrast, has a precise and well-developed personality. That is exactly what happens here, but yes, the ending is a bit too comples to be labeled as the usual sexist story of an anonymous woman who is functional to a man. And sure, we cannot say more than this! 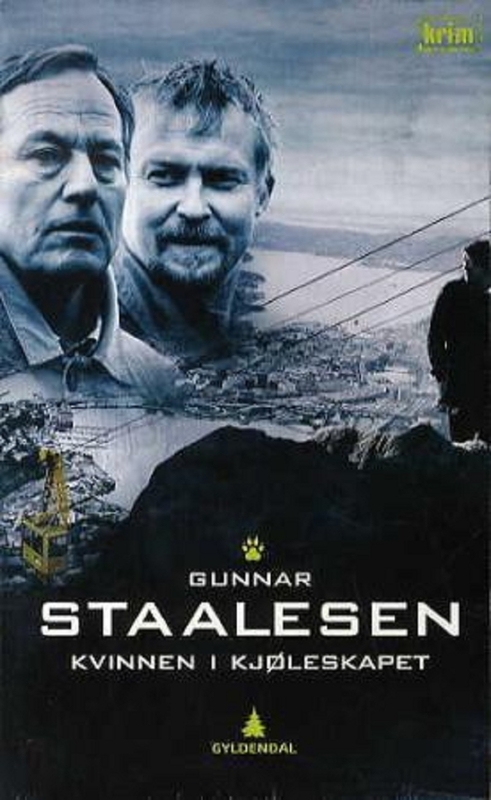 Staalesen was born in Bergen in 1947. After graduating in philosophy, he worked at Den Nationale Scene, the main theater in his city. His novels have been translated into many languages, and several films were made on his character Varg Veum. Next articleFederica Leonardi – Mr. W.